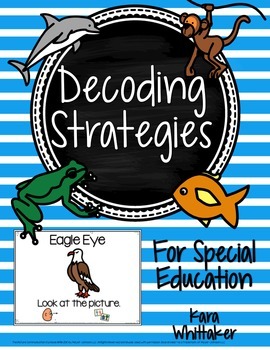 Decoding Strategies Special Education: I love using the decoding strategy animals to teach reading in my special education classroom! They help make an abstract concept much more concrete. My students love them, too! 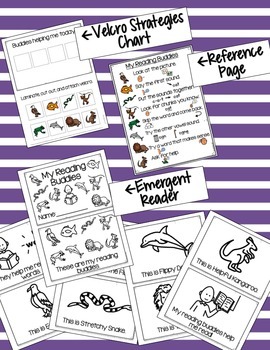 (We call them “reading buddies!”) To support other special educators in using these decoding strategies, I’ve created a version with simplified language and additional visuals. These materials were created with students with autism and other disabilities in mind, but would benefit all visual learners! 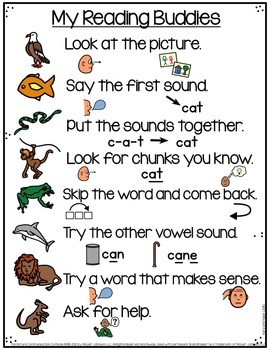 **This product is included within my Special Education Teacher Editable Binder. 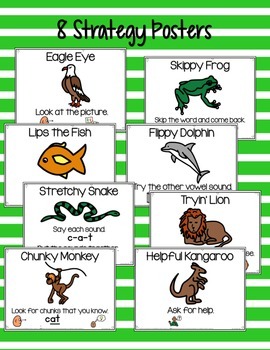 Each material is included in a “Decoding Strategy” or “Reading Buddy” option so that you can choose the wording you like best! If you enjoy this product, you may also like my Sequencing Picture Cards and Prediction Picture Cards! To receive updates on new freebies and products, you can follow my store by clicking the green star above.